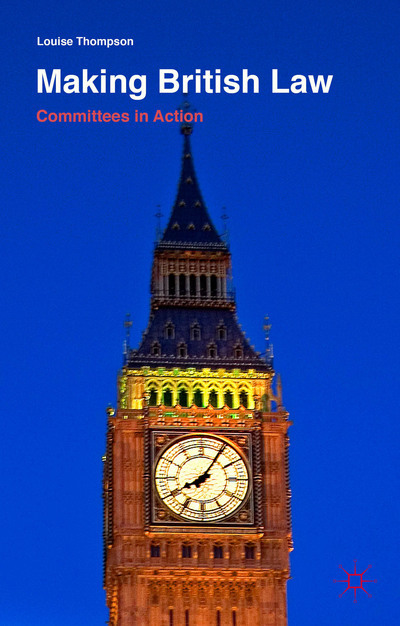 In Making British Law: Committees in Action, Louise Thompson presents a history and statistical analysis of the work of bill committees – formerly known as standing committees – and their influence over the process of making British law. Thompson offers a well-evidenced argument that goes beyond the statistics to persuasively account for the role and importance of MPs in shaping government legislation through bill committees, writes Richard Berry. 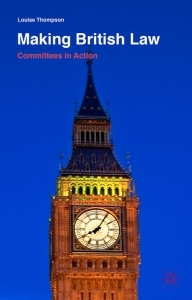 Making British Law: Committees in Action. Louise Thompson. Palgrave Macmillan. 2015. Note: this post originally appeared on the LSE Review of Books. It represents the views of the author and not those of Democratic audit or the LSE. Please read our comments policy before posting. Richard Berry is a Research Associate at Democratic Audit and the LSE Public Policy Group. He is a scrutiny manager for the London Assembly and also runs the new Health Election Data website. View his research at richardjberry.com or find him on Twitter @richard3berry.